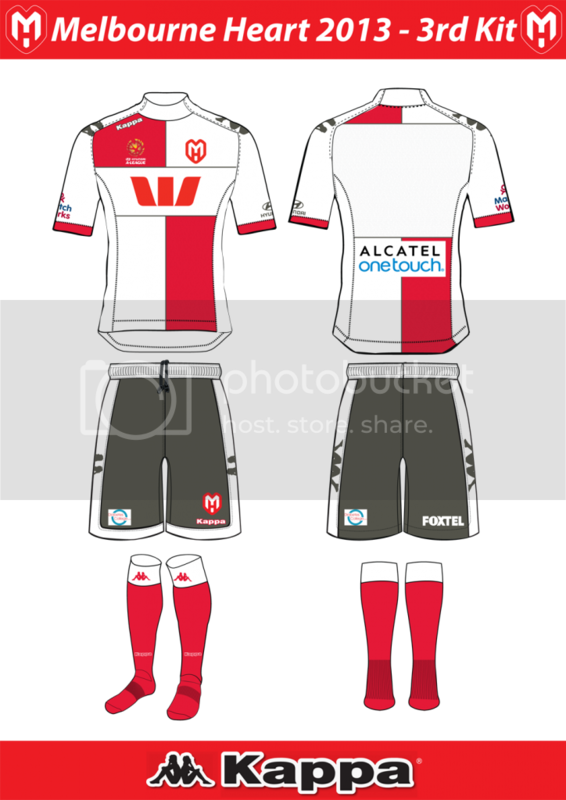 The designer of the winning entry for Melbourne Heart FC's Third Kit, Domenic Stephen, discusses with Melbourne Heart FC what influenced his design. The designer of the winning entry for Melbourne Heart FC's Third Kit, Domenic Stephen, discusses with melbourneheartfc.com.au what influenced his design. How long have you been a Melbourne Heart FC member for and what membership do you hold? Domenic Stephen: I'm currently an Ace of Hearts member and I've been a Melbourne Heart member since 2011. Additionally, I've not missed a home match since February 2011. What inspired your design and the colours that you used? DM: John van 't Schip. I looked at the designs of his two club sides and tried to combine the colours of Ajax with the design of Genoa's half-and-half kit and then add my own little twist by splitting the red across both sides for a different effect. The use of Red and White is prominent in your design, what prompted you to move away from the charcoal gray design of previous seasons? DM: It was my intention to return to the club's colours without using stripes, sashes and/or hoops as part of my design. I also noted that Melbourne Heart's opponent would be Newcastle Jets, a club with dark home and away kits, therefore a lighter design would avoid a clash. What does it feel like to be selected as the winning entry for the 2013-14 Third Kit competition? DM: Unexpected but a huge thrill. I've received a lot of support for my design from so many people since I posted it on Twitter/Instagram in early September but didn't think that my design would be considered, let alone win. I can't wait to see the boys wearing it in January. What is your reaction to the news that your Melbourne Heart FC players will be wearing your strip design on January 17 next year against the Newcastle Jets? DM: Pride. To think the that Harry Kewell, the greatest Socceroo of all time, will be wearing a kit that I designed is unimaginable. However, whilst it is an honour that all the boys will be wearing it, I am really looking forward to seeing David Williams, my personal favourite player, wearing the shirt with pride and hopefully scoring a goal or three. How would you describe your passion for Melbourne Heart FC? DM: You could describe John Aloisi's reaction against Adelaide [after 3-3 draw in Round 8] as a fair reflection of my passion; I am riding every bump with Melbourne Heart and despite the club being in a difficult moment, my support is stronger now than it has ever been.